It’s a wonder how our friend and Chef kept his secret so well.. tucked away on the 4th floor of Berjaya Time Square. By the time I managed to eat at EAT!, I wasn’t sure if I wanted to wring his neck (for not inviting me sooner) or to kiss him.. because the food was terrific. Anyway, there’s more goodness to come and to be spread around, this year-end. Watch out for franchises of EAT! 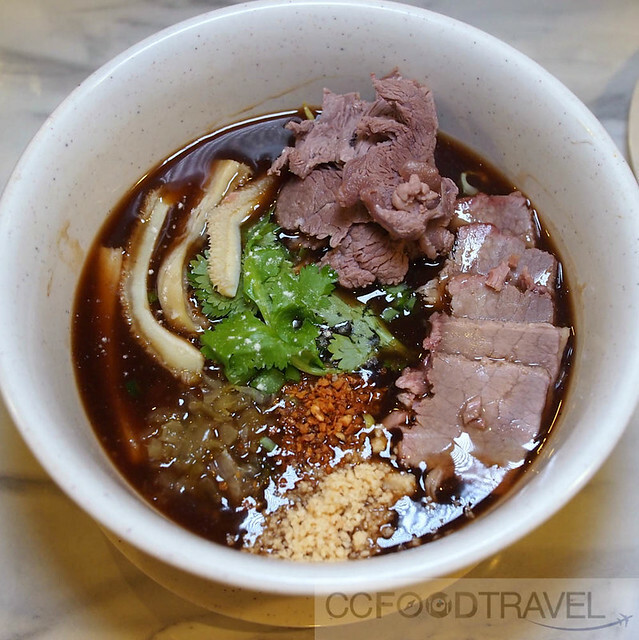 by Chef Dave Looi, starting with Low Yat plaza. Here are some of the hot favourites at EAT!.. 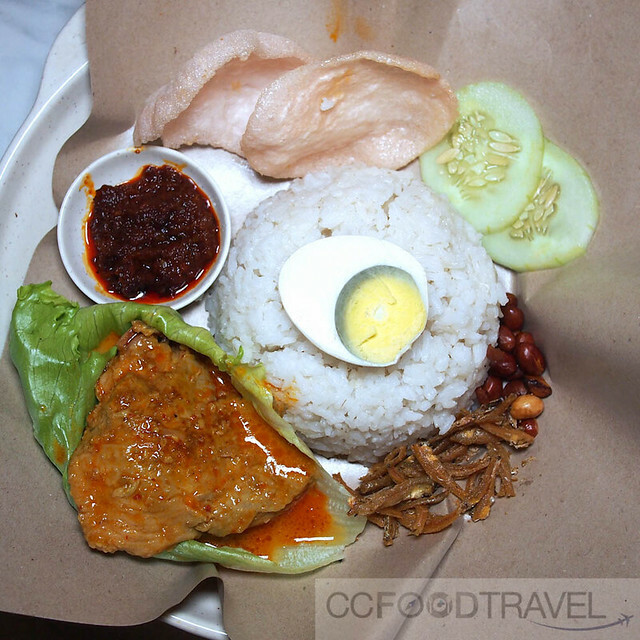 Nasi lemak with curry chicken RM15.50 – superbly delicious, decidedly affordable.. watch out for the fluffiest rice ever. 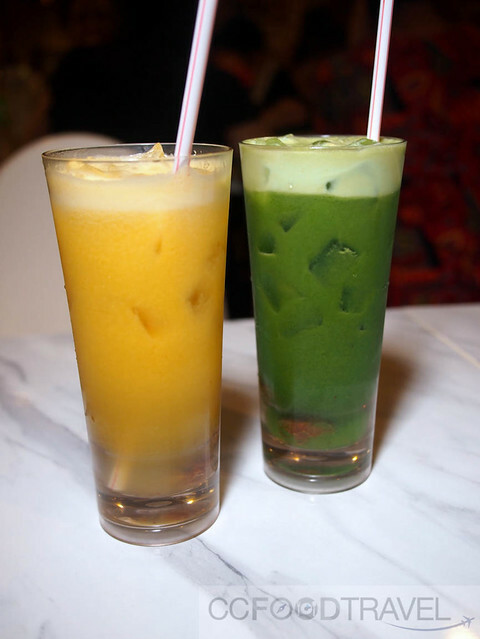 Green apple, choy sum, sour plum (RM9) and Orange celery with sour plum (RM9) – can almost hear the swooshing sound as my colon gets a real cleansing. Chicken Popcorn RM12 – decadently addictive just like popcorn. 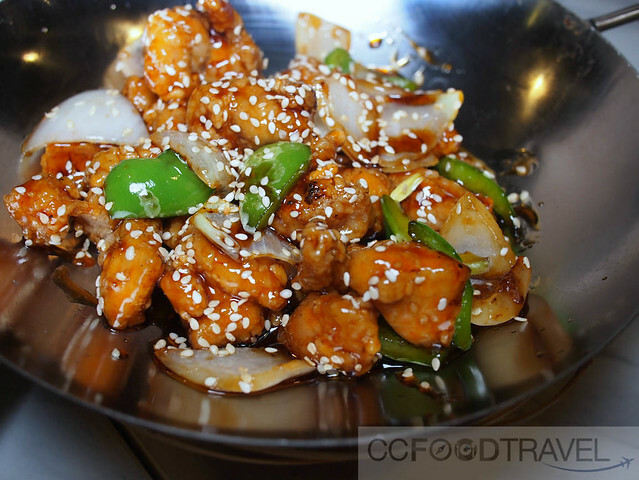 Lovely sweet glaze, fragrant sesame seeds, and succulent cubes of chicken fried just right. 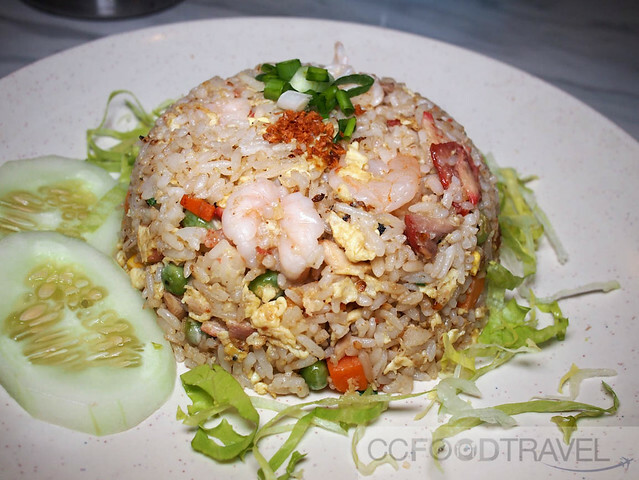 Fried rice RM13.90 – stuffed full of chicken charsiew, prawns etc. Great wok hei (smoky flavor). Even our 1 year old loved it. 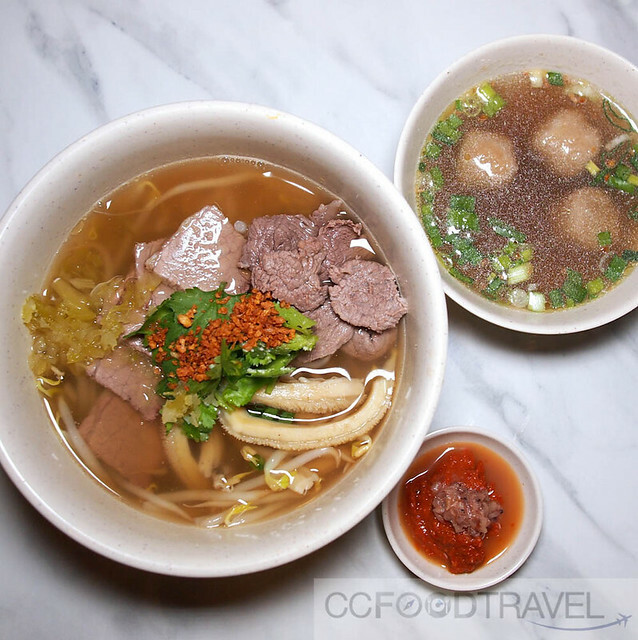 Two version of Beef Ball Noodles.. both equally yum. The Soup version..
And the dry version – though I’m not sure why they call it the dry version.. it’s also covered in a thick gooey sauce. RM16.90 for everything.. lean meat, brisket, balls, tripe, (stripes and stars, if there were any)! The cincalok sambal was full on salty, fishy, prawny flavour.. just as what you would expect of cincalok. Larp Mei Farn – RM14.90 It was weird eating the halal version. It was generous and loaded with meats, so I really couldn’t complain. 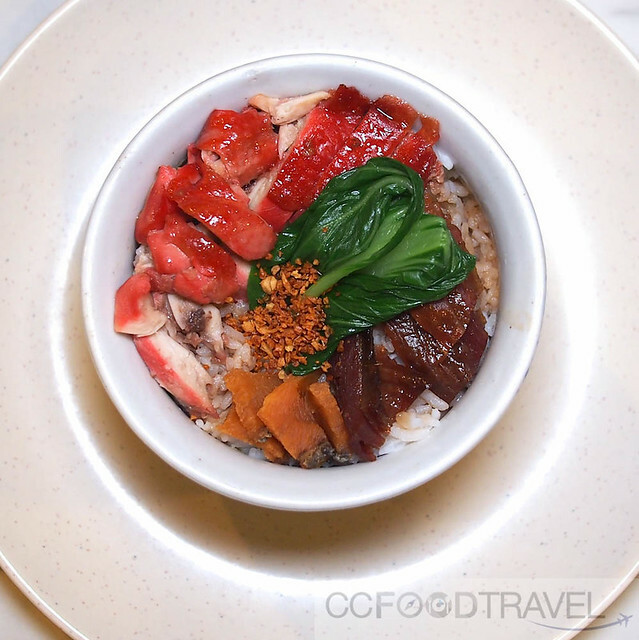 Cantonese Yin-Yong RM13.90 – somehow it’s just not like the street one! 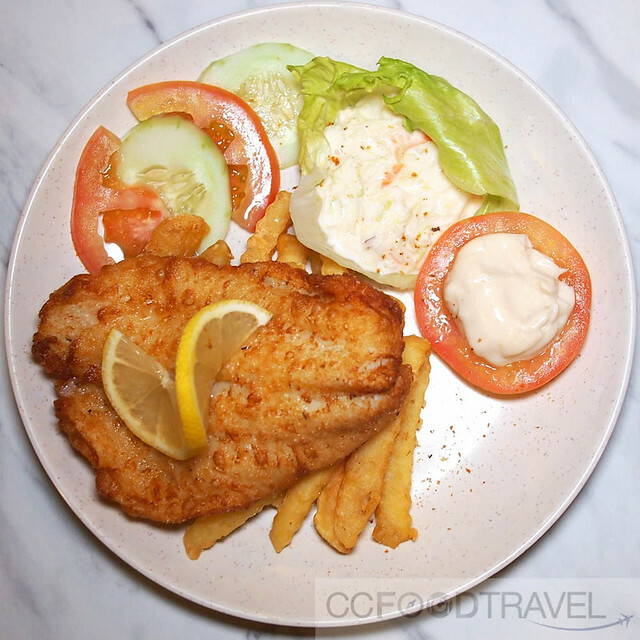 Fish and Chips RM14.50 – Crispy on the outside, flaky on the inside.. a must order from the Western Menu. It’s easy to see why EAT! is packed. 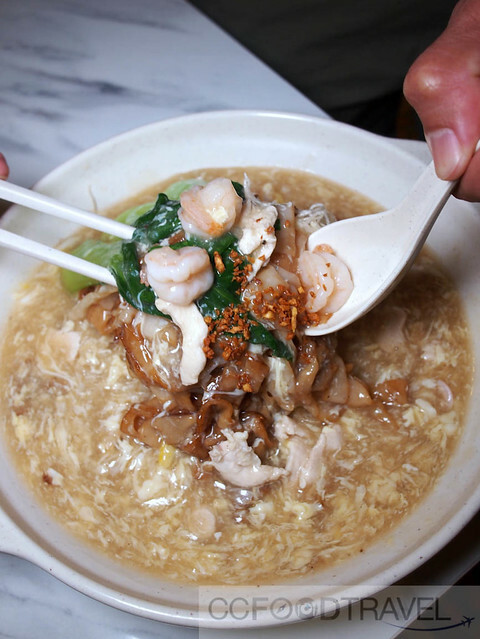 It serves generous portions at affordable prices. We look forward to the Low Yat branch being opened, come year-end! I was told it serves the best fried rice at Times Square! Nice find … can’t wait to get back to KL in the near future! Beef is off the menu. The cendol is way off the mark. I only like the salted fried rice.